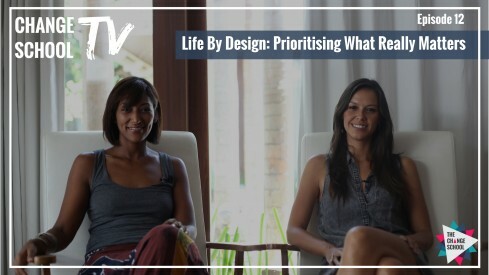 In case you missed this week’s Change School TV episode, Grace and Solonia share their views, ideas and tips for designing your life based on personal values and priorities. When life gets busy, it’s easy to get caught up in everyday tasks, responsibilities, and routines. Staying focused on our immediate goals is important, but it’s just as important not to lose sight of the bigger picture. The key is to find the right balance of reflecting, planning, and doing. Last week’s episode was all about setting goals and taking action. This week is about setting priorities and staying focused on these key life areas. 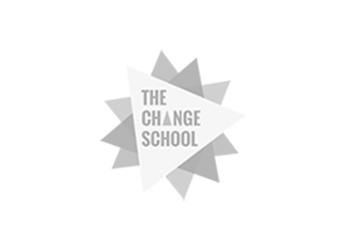 Our work at The Change School is all about helping people move forward at pivotal moments in their life/work. We often see people feeling stuck, frustrated or overwhelmed by choices about where to focus their time and efforts. As a result, they struggle with finding balance, making decisions, and managing their time and energy effectively. This is particularly true for over-achievers, entrepreneurs, working parents, and career changers who are often most susceptible to tunnel vision. When we find ourselves all-consumed by a single desire - achieving ‘success’, setting up or growing a business, being a good parent, or finding our next career direction - a common tendency is to neglect all the other key areas of our life - our relationships, health/wellbeing, personal development, etc. The best way to prevent this from happening is to periodically take a pause to examine our lives more holistically. A simple and powerful tool that can help you to do this is the Wheel Of Life - a visual representation of the way your life is currently, compared with the way you’d ideally like it to be. Step 1: Brainstorm your key life areas. Start by brainstorming eight areas of your life that are most important to you. This may include the roles you play in life - for example, being a spouse, parent, sibling, co-worker, friend, mentor, domain expert or practitioner. It may also include key areas or qualities you want to improve - for instance, your career, creative confidence, financial freedom, community service, or spending quality time with your friends/family. There is no ‘right’ or ‘wrong’ - the key is to identify what’s most important to you in this current phase of your life. Step 2: Label each section of your Wheel Of Life. Write down each of the key life the areas you’ve identified at the top of each ⅛ ‘slice’. Step 3: Evaluate your current situation. The underlying assumption is that we feel happy and fulfilled in our lives when we can allocate proportionate levels of time and energy toward the the things we value and prioritise in life. It’s important to understand that priorities change as we go through different life/work stages - the key is to recognise where you are now and where you want to go. Start by mapping out your ‘current’ situation. For each of the eight life areas, draw a dot along the scale of 0 (low) to 10 (high) to indicate the amount of time / energy / attention you currently devote to that part of your life. When you’ve done this for each life area, join up the dots around the circle and take a moment to reflect on how balanced your wheel looks and feels. Step 4: Map out your ideal situation. Next it’s time to visualise your ideal situation. A balance life isn’t about ‘scoring’ a 5 in each life area; some areas need more attention and focus than others at any given time. There will always be choices, compromises and opportunity costs, because we have finite amounts of time and energy. They key is to be honest and realistic in your assessment about how you can optimise and sustain your personal resources without spreading yourself too thin. The question is: How would you ideally allocate your attention to each life area you’re identified? Repeat the process in Step 3 to map your ‘ideal’ situation as a comparative view to your current one. Step 5: Draw conclusions and take action. Take a step back to review the two views you now have: your current vs ideal life balance. What does this reveal about how you can re-organise, re-prioritise and re-calibrate your life? What actions can you start doing in order to regain balance in your life? What actions will you stop doing (or delegate) in order to create more time and energy for yourself? Make a commitment to these actions by setting concrete goals and immediate action steps. Then, if you like, re-watch Episode 11 to get yourself charged up and into action! Download this week’s FREE Life By Design Worksheet to help you work through the above steps. Change Planner - A life planner for creating happiness, productivity, and personal rituals for success. Now available on Amazon! Bold Career - Our 6-week online course on How To Confidently Create Your Bold Career Move.